Mozart, Wolfgang Amadeus, 1756-1791. Church sonatas, K. Anh. C 16.01 (Fragment) . 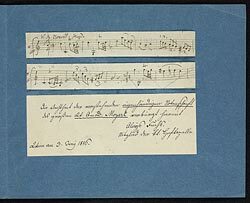 Church sonata in C major : manuscript in the hand of Leopold Mozart, 1782?